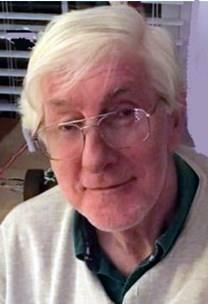 It is with sadness that we share news of the passing of Gene Sears, Sunday October 21. The Sears family will receive friends and family on Saturday, October 27, 2:00 to 4:00 p.m. in the Christian Enrichment Center of Memorial United Methodist Church, 101 Randolph Street, Thomasville, NC. Graveside service will he held with military honors at the National Cemetery in Salisbury, NC at 2:00 p.m., Tuesday, October 30, the Rev. Peggy Finch, officiating. The family asks that in lieu of flowers, donations may be directed toward Parkinson’s Disease research at Donation Processing, The Michael J. Fox Foundation, PO Box 5014, Hagerstown, MD 21741-5014. Or donations to the Intrepid Sea, Air & Space Museum may be mailed to Institutional Advancement Department, One Intrepid Square, W 46th St & 12th Ave, New York, NY 10036. Online condolences for Eugene can be made at www.thomasvillefh.com. Thomasville Funeral Home is honored to serve the family of Eugene Thomas Sears.